From our good friends at Pravoslavie.ru, the guest of today’s program is Priest Igor Zyryanov. He started his journey to God in his early youth, but initially this path led him past the Church. He was a Protestant for 18 years, 12 of which he was a pastor of a Pentecostal community and an active missionary. 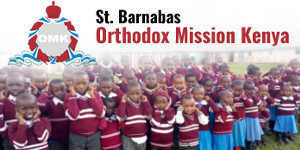 Several years ago, he and his community converted to Orthodoxy. We will also learn what makes it difficult for Protestants to understand the essence of the Orthodox doctrine and how to overcome these difficulties. Besides this, we will discuss the comprehensiveness of Orthodox prayers and the gift of tongues. Father George Maximov: Hello! You are watching My Path To God. The guest of today’s program is Father Igor Zyryanov from the Irkutsk Diocese. I’ll tell you right away that Father Igor was a Protestant and a Pentecostal for 18 years, 12 out of which he served as a pastor. Father Igor, please tell us about your spiritual journey. How did it start and what led you to Protestants? Father Igor Zyryanov: It happened a fairly long time ago. It was 1992 and there was not a single Orthodox church in Ust-Kut, the city that I lived in. My journey to God started when I was in school. It was primarily an internal quest for the meaning of life. However, rather than asking, “Why do we live?” I was interested in the question of “What is the alternative to death?”, because death completely cuts us off from life. That was when I read the Gospel for the first time. I got it as a gift from my brother who later also became a Protestant pastor. Now he is an Orthodox pries, like me. Once I met a Protestant pastor in the street and he invited me over. When I came to visit him, he opened the Holy Scripture and told me that we couldn’t live like this and that there were certain things that we should not do. Not because of some abstract law that forbids it, but because these actions were offensive to God. For me it was not a question of serving or not serving God. It was just like saying to a child, “You have a free choice: You can either live in a sewer or stay with your parents.” It is obvious what choice the child would make. Similarly, it went without saying for me that we must serve God because He created us. The indigenous people of Siberia were not exposed to the Christian doctrine. We started translating the Gospel into their languages and establishing communities. At that time, I didn’t even think about whether or not there was any difference between Protestantism and Orthodox Church. I actively participated in the life of the community, preached, read the Holy Scripture, shared the stories about God with people and travelled a lot. I’ve been leading this life since 1992. Then in 1996, when I was already married, I went as a missionary and a pastor to Bayandai village in Ust-Ordynsky Buriat Autonomous Region. It was a settlement inhabited by Western Buryats. We started establishing a Protestant community there. With time, I realized that I would lead my life among the indigenous people of Siberia (there are 42 indigenous nations in the area stretching from the Urals to the Far East). Naturally, most of them were not frequented by missionaries and were not exposed to the Christian doctrine. In 2001, we founded the Every Nation Mission. The purpose of this mission was to bring the Gospel to the Siberian people in their native languages. We translated texts and recorded discs that were distributed in various Protestant communities. As such, our work became inter-denominational in nature. This was probably the first step on the ladder that eventually led me to Orthodoxy. Father George: What did you think about Orthodoxy at that time? It was different in the 1990s, but in the 2000s, it was quite obvious that the Orthodox Church was there and its importance was growing. Or, perhaps, the people surrounding you at the time did not notice it? 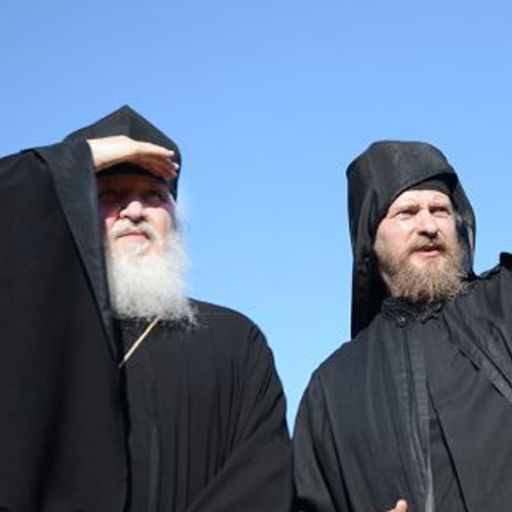 Father Igor: That’s a very good question, but unfortunately, when we worked among the indigenous peoples of Siberia, there were no Orthodox people in the area. Father George: Yes, it is a pity. Father Igor: They just started building an Orthodox church in Bayandai. There are about 22 parishes in the entire Buryat Autonomous Region, and not every parish there has a church. There are about 240 settlements in the area. Of course, not too many people live there (the population is about 150,000), but still the number of parishes is too low. The Protestant communities went as far as to gather and pray for the destruction of Orthodox churches. When we went to Evenks, Evens, Tofalars, Kets, Nganasans and Selkups, we never met Orthodox people. I should say that unfortunately the people we knew and respected at that time (they were mostly foreign pastors) had a very negative attitude toward the Orthodox Church. All the sermons that mentioned Orthodoxy were directed against it, alleging that it was idolatry. They almost made the Orthodox churches look like the temples of Satan. I even know that Protestant communities gathered and prayed for the destruction of Orthodox churches. That was how far the confrontation went. It happened that I lived as if in a parallel world where I was never exposed to the Orthodox world and never encountered profoundly religious Orthodox people who could have told me something about Orthodoxy. Father George: How did you learn about the Orthodox Church, if your work in Protestantism was important, positive and interesting and you had already developed a prejudice against Orthodoxy? Father Igor: We always believed that the Gospel should sound for every nation not only in their native language, but also in the context of the culture that they understand. That is, it should be embedded in the culture of this nation. So that it istheir glad tidings of Christ. For Buryats, it could be the epic of Geser that is very similar to the New Testament. Buryat shamans make sacrifices that are identical to those described in the Holy Scriptures in the Book of Exodus. We studied the culture of indigenous peoples and gathered facts. After a while, when we already were in Krasnoyarsk, we founded a small community. All the members of this community were Russian. So we asked ourselves, “How do we preach to Russians? What culture should our mission be built on?” And somebody answered involuntarily, “It should be built on Orthodoxy.” So I thought, “I don’t know anything about the Orthodox world. Not even the slightest idea. It is Christianity, but it is somewhat peculiar.” I was intrigued. Later, when we moved to Ulan-Ude to organize a community there, I went to an Orthodox church for the first time. I went there, stood and looked around. I was very impressed. I bought the books written by St. John of Kronstadt, His Eminence Antony of Sourozh and another author. When I started reading them, I experienced a real shock—I saw that they are profound, rational and free from the “waffling” that is abundant in the American Protestant books. In the Orthodox books, everything was so succinct and serious that you had to study these books in-depth, rather than simply read them. I liked it very much and started reading more, studying more and delving deeper and deeper into these books. Pentecostals were arguing with Baptists: “We are the Church!” “No, we are theChurch!”—so I was wondering, what is the Church? Naturally, I was still facing that important question that bothered me from the very beginning of my Protestant life. The question was, “What is the Church?” It arose when I met with various communities purporting to be the Church. These days the branch theory is popular and widespread in the Protestant world. According to this theory, all of us believers in Christ are the Church, we just represent various branches of it. This is what they say now, but I remember very well that nobody said that in 1992. Pentecostals were arguing with Baptists and saying, “We are the Church!” The Baptists objected, “No, we are the Church!”—“You are going to hell!” —“No, you are going to hell!” There were serious disagreements. Charismatics would say that those who didn’t speak in tongues, dance, etc. did not have the Holy Spirit and as such could not inherit the Heavenly Kingdom. Every community would say that only they were the Church. I saw it all. In the early 2000s, thanks to Western pastors, they began to iron out these problems. This question about the Church was still open for me. Because here’s what was happening: We would come to, for example, Yakutsk to organize workshops, bringing discs in Yakut language, preaching Christ to people so that they would simply become Yakut Christians, but after believing these people would become Baptists, Pentecostals, Lutherans or Adventists. We didn’t like that. We had long discussions within our team about what should we do to make it simply the Church of Christ, rather than a community of some specific denomination. We could not find the answer to this question. 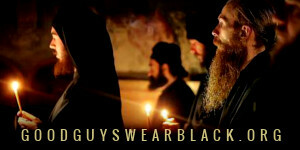 I was more and more inspired by Orthodoxy. I was preaching about sinful passions, a concept that does not exist in Protestantism at all, and other ideas that I got from the Orthodox books. Our community started studying the Orthodox doctrine on sinful passions and we were shocked as we discovered an ocean of tremendous depth, a place where you can grow spiritually and receive blessings. For my own sake, I was analyzing and checking things, trying to introduce the concept that would be something like repentance. I already saw that it was really necessary. Either make the tree good, and his fruit good; or else make the tree corrupt, and his fruit corrupt: for the tree is known by his fruit. (Matthew, 12:33). That is, the Saviour says that a corrupt tree cannot bear a good fruit. However, I was admiring the spiritual experience of Orthodox people, but rejecting the things they believed in. Suddenly I realized that by reading these books and drawing inspiration from Orthodoxy I already made my choice—I can only be Orthodox. That was a very distinct milestone for me. After that, of course, I had to go through a whole process. Firstly, I had to find Orthodox people who could accept me into Orthodoxy. The second question was what to do with all our communities and our work that was on a fairly advanced stage. But God somehow settled everything. So I became Orthodox. Father George: How did it go when you told your parishioners about your choice? How did they take it? Probably it was not easy to understand how a pastor can become Orthodox practically overnight. Father Igor: Indeed, it wasn’t easy. What helped us was the fact that we had been studying the Orthodox doctrine for a while. The word “Orthodoxy” itself was already familiar to everybody. Secondly, we met an amazing priest, Father Vyacheslav Pushkarev, the head of Missionary Department of the Irkutsk Diocese. He was very kind to us and never called us sectarians nor used any derogatory terms. He would come to our meetings every Sunday. In fact, soon we were holding those meetings just for the sake of talking to him. These meetings lasted for up to five hours. We had a lot of questions to ask him. He answered either with great detail or not. Still it was a wonderful communication. We saw love in him. And that love was not fake; it was real. You know, I wrote a story about my journey to God and uploaded it online. There was a phrase in that story that set off a storm of protest among pastors. I wrote that priests were very different from pastors. It is indeed so. The moral level that I see in Orthodox priests is considerably higher that the level I saw in pastors. Now I know many priests. Of course, there are problems and difficulties—after all, they are human too, but the sins that the priests occasionally commit cannot be even compared to what Protestant pastors do. The difference to me was just like they were worlds apart. This was probably the second reason for me—the vivid example of a person who showed us the beauty of Orthodoxy. If it weren’t for him, maybe we wouldn’t properly understand it. But he managed to do it. Although we did have difficult moments, when my assistant was shouting, “I’m losing a brother! I’m losing a friend!” He was a well-educated man who graduated from the theological institute and spoke Greek. Eventually, he converted to Orthodoxy too, but it was for an entirely different reason. Father George: What was his reason? “Answering to” or “Asking for”? Where should we look for the solution that will clarify which of the translations is correct? but since babies cannot give any answers, they cannot be baptized. I told him, “Do you know that in the Church Slavonic text it is not about answering, but rather asking God to give a good conscience to the one who is being baptized?” He said, “It cannot be so.” When he took the Greek text, opened the dictionary, and tried to translate the passage, he found out that the word in the original could be translated as either “answering to” or “asking for”. So where should we look for the solution that will clarify which of the translations is correct? For Protestants there is no answer. However, it is very simple for Orthodox people. If we read the works of Church fathers created in the third, fourth, or fifth centuries, we’ll see that all of them believe that it means “asking for”. This is the beauty of Tradition. It guides our understanding of the Holy Scripture. Without Tradition, our minds are easily led astray. Moreover, all schisms in Protestantism (and Protestants are constantly dividing into various groups) are caused by this very reason. Some member of a Protestant community, for example a pastor’s assistant, suddenly says that he received revelation from God regarding some verse of the Holy Scripture. The pastor does not agree with him and says, “It is not so. It is wrong.” But the assistant insists on his belief, leaves and creates his own community. That is how the division happens. There is no foundation that they can refer to when they want to ensure correct understanding of the Scripture. There is no authority. Having rejected the Tradition and teachings of the Holy Fathers, Protestants lost the coordinate system and the point of reference. If there is no reference to the Tradition, any teaching can be easily “harmonized” with the Bible. While for Orthodox people, the authority of Tradition is tremendous. That man, my former assistant, also converted to Orthodoxy. He is now a priest too. Actually, six people from our community became priests. Father George: Even more of them probably converted to Orthodoxy? Some obviously are still laymen? Unfortunately, when Protestants who are interested in Orthodoxy come to church, they encounter not only misunderstanding, but open animosity. Father Igor: Yes, of course. All our community converted to Orthodoxy as well as some people we knew from other cities. About 60 people in total. With the blessing of our bishop, we are now working hard to support Protestants who wish to convert to Orthodoxy. 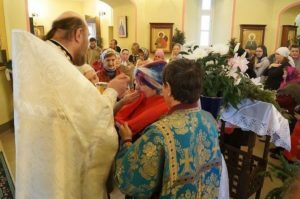 120 people from various cities of Russia have converted to Orthodoxy so far. Many find us online or ask questions over the phone. There are various situations, and unfortunately, there are many negative experiences, when Protestants who are sincerely interested in Orthodoxy come to church and encounter not only misunderstanding, but open animosity. This does not come from the priests, but from people in the church, those who work in the candle stands and others. Unfortunately, things like that do happen. Father George: Yes, we do have this problem. 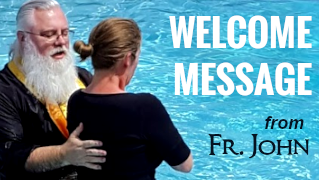 That is why His Holiness Patriarch Kirill is promoting the idea of having a staff missionary in every parish who would properly welcome all newcomers. Most of the parishes have not implemented this idea yet. Father, I have another question for you: How did your period of entering into Church life go? It was easier for you, of course, because you already knew many things about Orthodoxy; but you probably had some difficulties too? Father Igor: I would say that it was a great adventure. Firstly, we all felt a tremendous support and understanding from the clergy. We had lengthy discussions about the myths that the Orthodox and Protestants have about each other. This openness of the clergy, their incredible kindness and tremendous patience definitely played an important role. Now I understand what it cost them to postpone all their responsibilities and spend this much time with us. Thanks to this, coming into Church life was not difficult for me. When I started the catechetical process, I understood that I had to change many things in my mind, because we all think in certain paradigms. These paradigms had to be completely replaced. I had to throw some things away and find something to replace them with. Strictly following this logic, we were changing our way of thinking, block by block. I say “we” because I wasn’t alone. I was often the driving force, but I wasn’t alone—all the members of our community supported each other. For example, we studied the Orthodox teaching of salvation, comparing it to the Protestant teachings and trying to understand the difference. It was an important question for us. When we asked the priests, they told us to look it up and gave us the names of the books. We started reading and studying them in-depth. The same thing happened with other questions. For the things that confuse Protestants and that they believe to be idolatry—i.e., veneration of icons and relics—in fact demonstrate how natural everything is in Orthodoxy. So when a Protestant comes to me and says, “How can you worship the icons?” I respond, “We do not worship the icons.” He says, “Yes that is what you say. Your books say that you do not worship, but venerate them. But what is actually happening? Some people come up to an icon and bow. Isn’t this worshiping? Then they kiss the icon. Isn’t it worshiping?” Now it is easy for me to explain, because I now understand it myself. Father George: So how do you answer this question? Understanding this difference between the Protestant legalism and the naturalness of Orthodoxy is the most important thing. If you understand it, then everything becomes clear. saying that Flesh and Blood refer to the Holy Scripture. This is another block that I had to replace in myself. 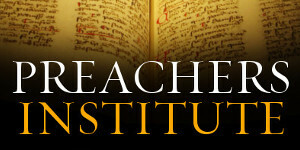 Protestants should study in–depth to become Orthodox. Yes, it is difficult, but it is worth it. We know these blocks. For example: Where do we meet Christ? Aha, not here, but here. This paradigm must be adjusted. I think that this is the reason why some Protestants who converted to Orthodoxy leave after a while and then come back. This happens because they do not replace these blocks in themselves. They don’t see the need to study in-depth. But it is necessary for Protestants to study the teachings in every little detail to become Orthodox. Yes, it is difficult, but it is worth it. Some people say, “Why should I do it? Look at this guy in the street, he was drinking and misbehaving. Then something moved his heart and he went to church, confessed and received Communion. Now he’s alright and doesn’t have to study anything. Why should I? Because there is a difference. Unlike that “man in the street”, we former Protestants already have a certain theological background and a vision of how we should serve God. We need to change them. Otherwise it won’t work. That was what my catechism period was about. I made notes about the things I saw. Then we discussed them with priests and among ourselves. 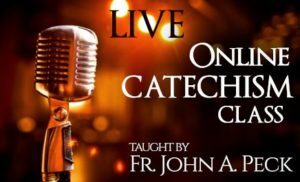 Father George: In your personal experience, what came into your life after you converted to Orthodoxy? What did your religious experience in Protestantism lack? Father Igor: We should probably talk about two aspects here. Firstly, I was a pastor and a director of a Protestant mission, and suddenly I was about to lose everything. This work was the meaning of my existence. I dedicated 18 years of my life to this work; i.e., I spent the larger part of my adult life doing it. What should I do now? When I was converting to Orthodoxy, nobody promised to me that I would be ordained into priesthood after a while, say, in a year. This wasn’t the idea. Although I did ask if I could become a priest. The answer was, “Yes, anybody could become one, if certain rules are observed.” However, I understood that in 1992 I met God or rather God found me. I really believed in Lord Jesus Christ, His redemptive sacrifice and His resurrection. I thought that I had gone after Him, but I ended up outside of the Church. I tried to serve Christ, not knowing Him, as I was outside of the Church. And being outside of the Church is scary. For the Church is the ark of salvation. I spent many years trying to serve Him, but not knowing Him, as I was outside of the Church. And being outside of the Church is scary. For the Church is the ark of salvation. This image of a ship is very fitting and powerful. I had tried to cross the ocean hanging on to some twig, while there was a ship available. Then what was the meaning of my life? Why was I doing all this, if it was not leading me to salvation? That is why when I was accepted into the Orthodox Church, I was happy and willing to be just a regular parishioner, as long as was in the Church. That was my decision. I understood the importance of the Church. All those rumors and politics do not have any meaning. The main thing is to know that this is the true Church. Understanding that you are in the Church is the most valuable thing. When I look at other people who have converted to Orthodoxy, I see how they appreciate the Church. You know, it absolutely doesn’t matter that maybe the ship of the Church has a rotten mast or some deck board is broken, all of these problems are so insignificant. It is the Master of the ship who matters the most. If you understand that, you are protected from temptations and problems. For Protestants who converted to Orthodoxy and understood the value of the Church, such issues are meaningless. Some church politics, rumors or any discontent in the Church may be very painful for a person who was originally Orthodox, but for us they don’t matter. We understand that nobody’s perfect, because we are all people. We don’t care if something is wrong with the people in the Church, when we know that we are in the true Church. “They that are whole have no need of the physician, but they that are sick” (Mk. 2:17). The Church is in essence a hospital. People who come to Church are not originally saints; they are in the process of healing. This process is not simple and old diseases may come back. Father Igor: So the Church is probably the most important thing that Protestants get in Orthodoxy. Father George: You said there were two aspects. What is the second one? Father Igor: Clergy. Who is a pastor? In most cases, this is an absolutely selfless man who sacrifices practically everything to be able to preach the Gospel to people. In general, Protestant pastors have good and proper motives. However, they are in a wrong place. They have no means for saving people. Some time after I became a priest, I was asked what was the difference between the work of a pastor and the work of a priest. I said, “The difference is that the priest can do something rather than simply talk about it.” I mean the Sacraments. Pastors can only say, “Let us reject sins, let us throw them away!” while the priest can take confessions. It is so amazing! Protestants have the concept of repentance, but they don’t have the Sacrament of Confession that frees people from the grasp of sin. For Protestants converted to Orthodoxy the Sacrament of Confession is intense and vivid. There is a saying that a man living in the mountains ceases to notice their beauty. For Orthodox people confession is a common thing, while for Protestants who converted to Orthodoxy, this Sacrament is intense and vivid. “There is confession! Wow! It is so great!” To this day, when I receive confessions from priests who used to be Protestants, many of them say, “God, it so wonderful that there is confession, this Sacrament!” And all other Sacraments too, including baptisms or weddings. What does a pastor do? He simply gives his blessing and prays for the newlyweds as best as he can. While in Orthodoxy we have a whole Sacrament. Take, for example, the Sacrament of Partaking of the Body and Blood of the Lord where we are not merely touching symbols or books, but Christ Himself. If you think about this seriously, it generates such incredible thoughts in your head and makes you feel such ineffable joy that tears start to flow. Because you cannot fully understand that God—God Himself!—gives you His Body and Blood so you could partake of Holy Communion. How is it possible? It is incredible, yet it existed here in the Church for so many years! While we were walking somewhere outside and did not know about it. It is scary. This this the second thing that a former Protestant can get after becoming an Orthodox priest. Father George: Did Orthodoxy help you understand something new about yourself? Father Igor: Yes. When I was a Protestant, I was sure that I was righteous. I simply confessed the sins I committed and went on, leading a so-called “life in victory”. When I became Orthodox, I saw my true colors. I understood that I was hypocritical, prideful, deceitful, vain… This, of course, made me disappointed in myself and in Protestant teaching. On the other hand, Orthodoxy gives me a serious support and God’s help to get rid of my sins though the Sacraments of Confession and Communion. The longer I stay Orthodox, the more I see the flaws of my character. This knowledge gives me reason to be more humble before God, to look for His face and try to change. Father George: Father, as you were among the Pentecostals, you know that Pentecostals as well as neo-Pentecostals like to ask, “What about the gift of tongues? We have the gift of tongues and the Orthodox people don’t.” How would you answer this question? Father George: Yes, it was definitively proven by such researchers as E. Nida, W. Wolfram, W. Samarin and others, but over the years you probably got used to such speaking in tongues? I was amazed by the thoroughness and spiritual fullness of Orthodox prayers. Suddenly I realized that I had not been speaking in tongues for a long time! Father Igor: Of course, I used to speak in so-called “other tongues”, but this issue was resolved for me in an amazing way. I started praying using the Prayer Book and this really captivated me! Protestants have this term “to pray your heart out”, which means that after praying for a long time you realize that you said all the things you wanted to say. This includes praying “in tongues” and using your own words. When I simply read the morning prayers in the Prayer Book, I felt that I prayed my heart out better than ever. That was the amazing feeling I got. I prayed with a special pleasure and was amazed at the thoroughness and spiritual fullness of prayers. Ten days later, I suddenly realized that I had not spoken in tongues during that entire period. So I thought, “Right. Ok then, I won’t do it anymore”. That was how it happened. This is what is happening for most people. They simply leave it behind. We don’t even discuss it much. Despite its special place in the Pentecostal movement, all the fuss about it and all the efforts taken to promote glossolalia, for some reason people can easily leave it behind. Much easier that other things. This is simply something superficial that does not have deep roots in people. None of us who converted to Orthodoxy had any problems with that. Everybody got rid of it quite easily; I wouldn’t even say that they had to “get rid of it”, they simply stopped doing it. Father George: You know this Pentecostal glossolalia always made me wonder about one thing. As we know, according to the Book of Acts, the apostles actually spoke different tongues so that foreigners could understand them. However, as far as I know, when Pentecostal and neo-Pentecostal preachers from abroad come to Russia, they still use the services of interpreters even though they allegedly have the gift of tongues. Was there an American preacher who could speak Russian due to the “gift of tongues” without training and studying the language in advance? Have you seen at least one? Father Igor: Of course, not. People simply say some gibberish and another person can “interpret” them. Or the speaker can interpret them himself. Obviously, there is no way to prove this. I think this is just psychophysical actions of people. In fact, it is similar to eastern practices. Father George: Yes, shamans use glossolalia in their practices. Father Igor: I think that in glossolalia people pour their hearts out, really opening and giving their hearts to God. However, it is simply a psychophysical action. It is not a gift of the Holy Spirit. That statement is false. Glossolalia is not a gift, but an acquired behavior. You can learn how to do it. Father George: It was proven that glossolalia is not a gift, but an acquired behavior. You can learn how to do it. 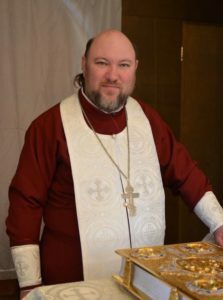 Father Igor: All Pentecostals are nonplussed when we tell them about people who after being religious Protestants became secular and sinful, but continued “speaking in tongues”. For example, drug addicts that attended Protestant rehabilitation centers but had a relapse continue “talking in tongues” under the influence of drugs. Where is the Holy Spirit then? But when you’re Protestant, you don’t think about these things. The Apostolic gift of tongues did not disappear from Orthodoxy; it is given only to people of pure heart and only when it is spiritually necessary. Father George: We should note that the real gift of tongues that was given to the apostles still exists in Orthodoxy, although it manifests very rarely. For example, St. Paisios of the Holy Mountain had this gift. We know of two occasions when he spoke French to Frenchmen and on two other occasions he spoke English to pilgrims from English-speaking countries. In all of those cases, the people did not have an interpreter with them but had a real need to talk, and the Holy Spirit gave the elder the gift to speak in their languages, even though he only spoke Greek and never studied other languages. In the nineteenth century, the same gift of tongues was observed in another ascetic from Mt. Athos, schemamonk Martinian. There are other cases like that too. So the Apostolic gift of tongues did not disappear from Orthodoxy, it is given only to people of pure heart and only when it is spiritually necessary. And this gift has nothing to do with glossolalia. Dear Father Igor, thank you very much for your story. I wish we could have a longer discussion and talk about your mission among the Northern nations. I hope God will help you in your work. Thank you for participating in our program.